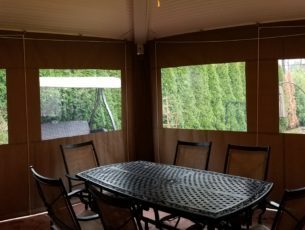 Drop Curtains/Enclosures | Kreider's Canvas Service, Inc. 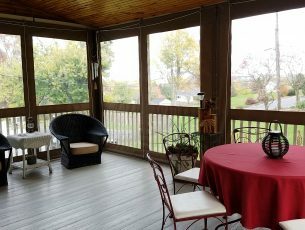 Extend the season of your porch or screen room! 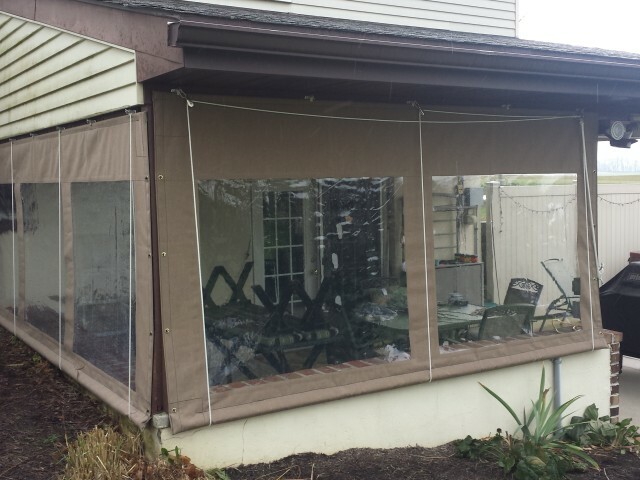 Add to your usable living space in cooler weather! Protect furniture! Block the sun! Add Privacy! Call for a free in-home consultation! 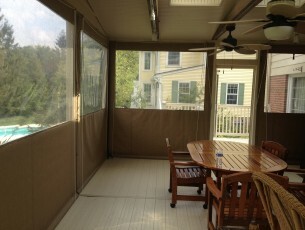 Enjoy your porch year round by installing clear vinyl drop curtains. The curtains can store in the up position when not in use. Block the cold, not the view! Use your porch year round! 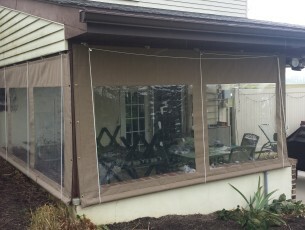 Install a clear vinyl drop curtain enclosure around your porch. 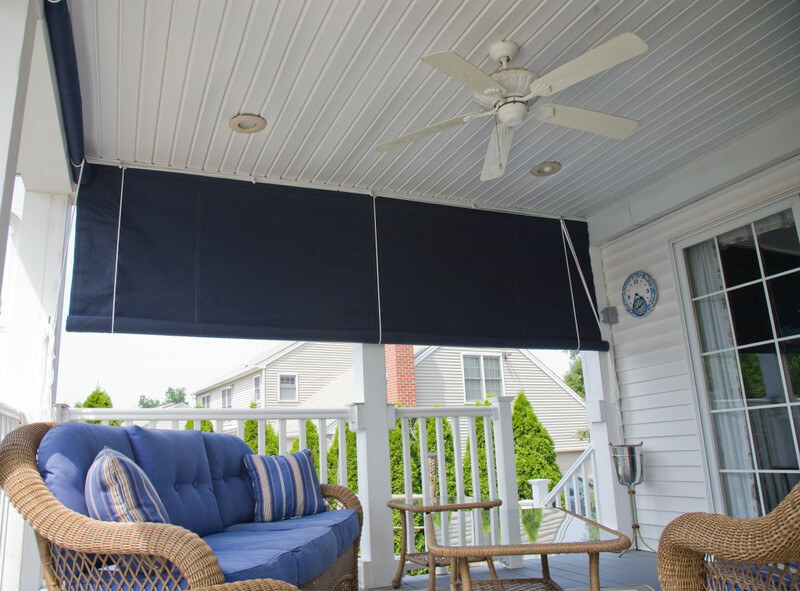 The border fabric is a Sunbrella acrylic and comes in wide variety of colors. 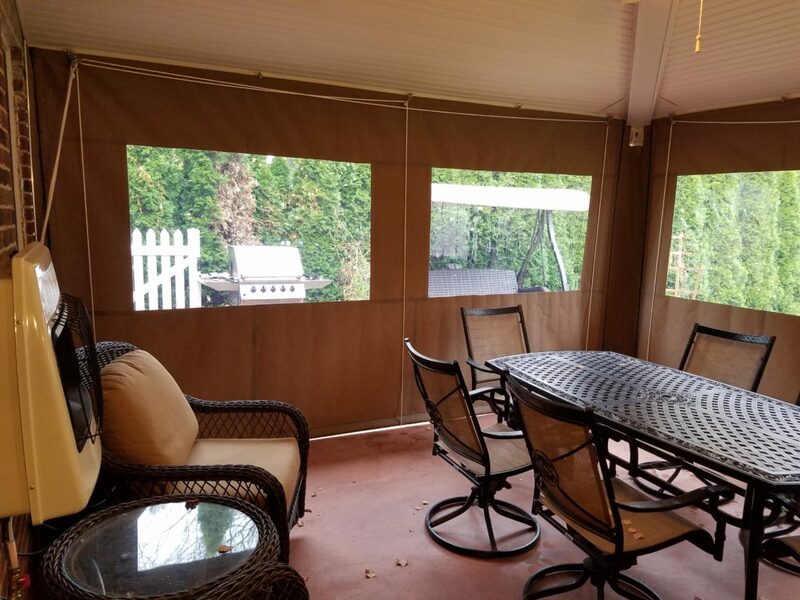 Curtains roll up out of the way when not in use. 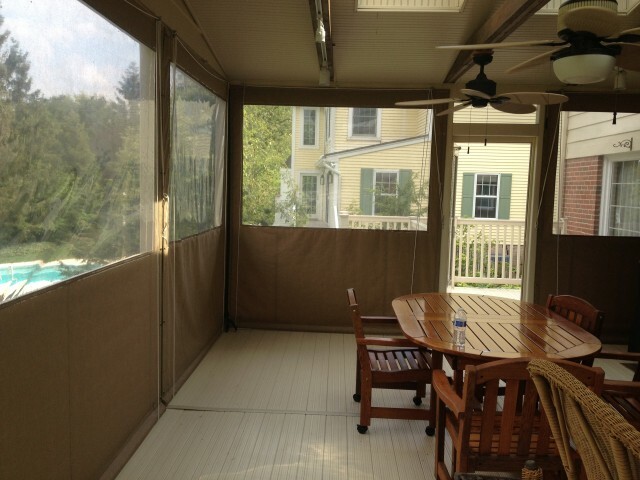 The curtains roll up out of the way when not in use with a rope and pulley system. The bottom edge is weighted down with a heavy galvanized pipe. Les and his team did a fantastic job designing, creating and installing our all weather roll up curtains. They came out even better than we’d hoped.